Cigarette smoking is the number one cause of preventable disease and death worldwide. Cigarette smoke contains over 60 cancer-causing chemicals: the most highly addictive being nicotine. If you or someone you know smokes cigarettes, it’s likely that an addiction to nicotine has developed. You may now even be wondering this: How long does nicotine stay in your system? Breaking a nicotine addiction can be hard, but the health benefits are worth the struggle. 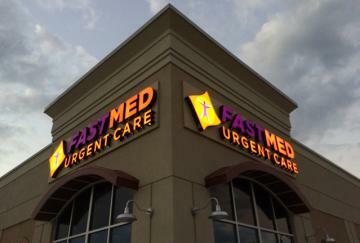 If you want to quit smoking and start leading a healthier lifestyle, visit FastMed Urgent Care. Our medical professionals can perform physicals and other tests to determine if smoking has caused your body any harm. We can also provide you with guidance to help you quit smoking and prevent serious health issues from developing later. You quit smoking. How long does it take nicotine to get out of your system? 20 minutes after: Your heart rate starts to drop to normal levels. 12 hours after: Carbon monoxide in your body decreases, and your oxygen levels increase to normal. 24 hours after: Your risk for heart attack begins to drop. 3 days after: Here’s where you get your answer to “How long does nicotine stay in your system?” After 3 days, it will be completely gone! This is often when withdrawal symptoms hit the hardest. Stay positive and reward yourself for all your hard work. 2-3 weeks after: Your body starts a regeneration process. You should be able to exercise and perform physical activity much easier. Your withdrawal symptoms may also start to go away. The benefits of not smoking don’t end after a year. Your risk for heart disease will eventually return to that of a non-smokers, and your risk for stroke and lung cancer will decrease drastically. Visit a FastMed location near you, and let us help you start on the path to a healthier and happier life.